The Kevyn Aucoin Sensual Skin Enhancer is a multi-tasking product created to give the appearance of a natural, healthy, radiant complexion. 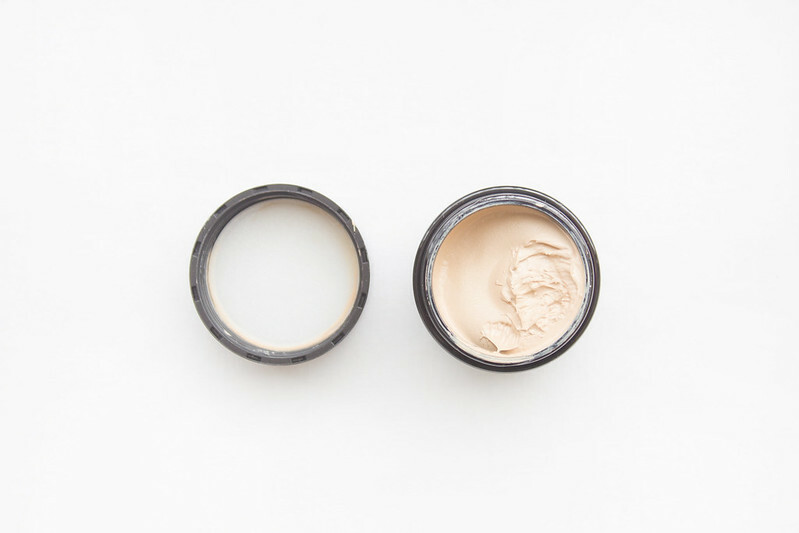 The stiff paste like formula can be used as a spot or all-over foundation, concealer, corrector, highlighter, or mixed to create a tinted moisturiser. It can be applied with the fingers, a brush, or a sponge for different results. The ingredients include honey, beeswax, and jojoba oil forming a silky yet stiff texture to create a soft, dewy finish that can be set with powder for a matte look. One of the first ingredients is mineral oil, which is nothing to freak out about unless you know it doesn't work for your skin; personally I should have checked before buying since I'm not keen on products containing honey and the formula does have a distinct honey scent to it (lesson learned). I mainly apply the Kevyn Aucoin Sensual Skin Enhancer as an under eye concealer, redness corrector, and spot foundation for evening out skin tone or covering blemishes. I apply using a flat concealer brush and whereas I'd usually use a yellow color corrector (for purple tones), I need not apply this when using the Skin Enhancer as I find it covers everything incredibly well. I have noticed a little creasing and occasionally need to apply a little cream highlighter to the under eye area as the shade I selected wasn't quite right for my complexion. I have tried applying this as an all-over foundation although having dry skin I found the product didn't blend well at all, leaving unsightly dry patches. Blended with a primer, BB cream, or moisturiser the product has more flexibility making it easier to work with, although it still feels rather heavy and cloying on my skin. Whilst I can't find any major faults with the Kevyn Aucoin Sensual Skin Enhancer, I'm not entirely sure it's something I'd repurchase. Although the absolute tiniest amount of product is required for application, meaning I probably wouldn't have to buy it again for a very long time anyway. It makes for a reasonably priced heavy duty foundation or an overpriced concealer; since I will be using this mostly for complexion correcting and concealing, I feel it's not the most cost effective product to purchase. 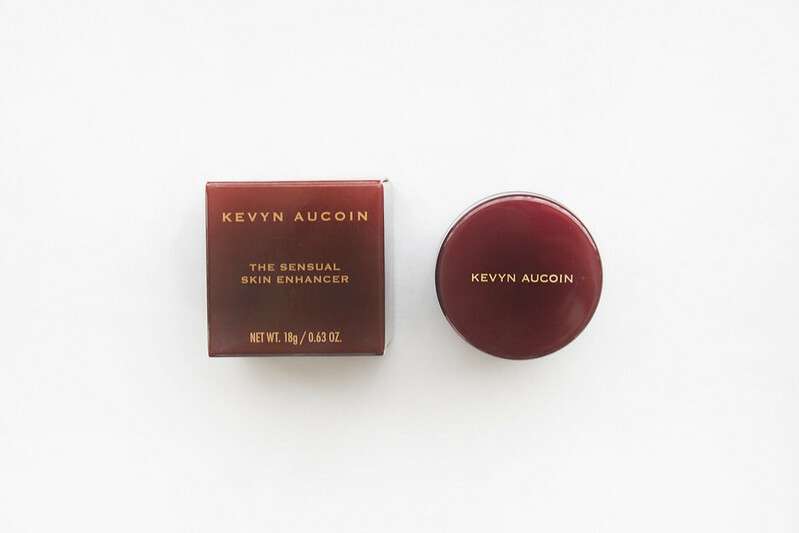 If you want a versatile product that is incredibly compact and provides everything you'd ever need from a base product, I'd recommend the Kevyn Aucoin Sensual Skin Enhancer for consideration. Used to its full potential this product could be the best multi-tasking product you could ever buy. This product almost broke my heart, I tell you. I LOVED the finish when mixed in with a tinted moisturiser or as an on the spot concealer - was awesome for my hyperpigmentation issues. BUT I'm one of the unlucky one's with skin sensitive to mineral oil and within just a few days this lead to some seriously bad breakouts. I'm so sad as I know I would have used this regularly as it's so damn versatile. I own this too and think it is an interesting product. I haven't been reaching for it lately because it currently is too dark for me. I can't wear this on its own as a foundation, it is much too full coverage for my taste. When I do apply it I mix it with moisturizer and/or Becca Shimmering Skin Perfector. It looks much better that way, although on my oily skin type it doesn't really last long which is unfortunate. I agree with you that I wouldn't repurchase, however, I don't think this is necessarily a bad product. More not fit for my needs. I think if I had a lighter shade I would enjoy it as a under eye or blemish concealer. wow. sounds like a paste indeed. i'd be very interested to feel this texture in person and to see how it applies. i'm not sure i could use this all over my face either just because of how stiff it sounds but i know you said it worked ok (dry skin aside)...must touch it..
great review, very honest which i like!